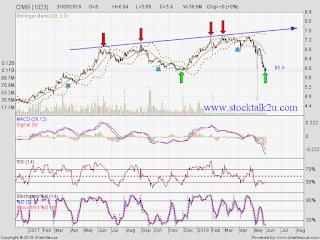 CIMB retest strong support level, RM5.90. Stochastics %K oversold, pending trigger buy call. Immediate resistance @ RM6.20 level. Subsequent resistance @ RM6.56 level. 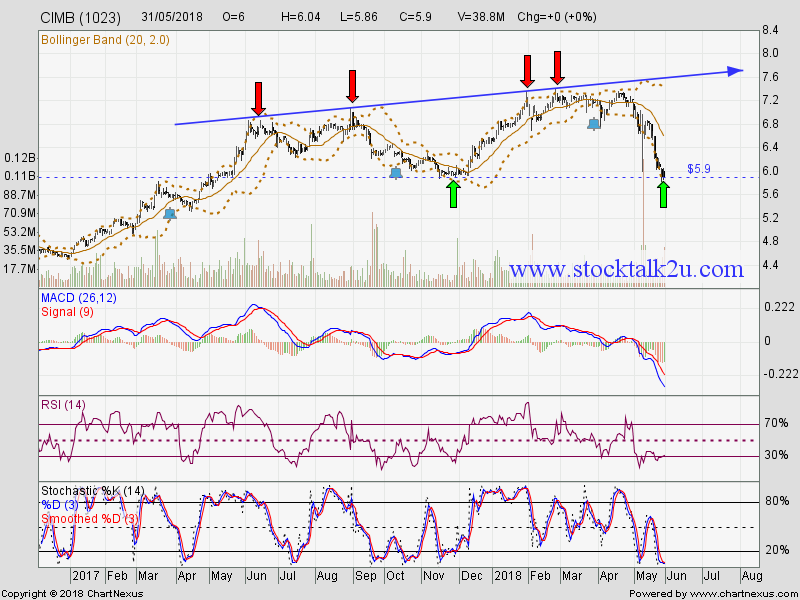 Immediate support @ RM5.72 level. Subsequent support @ RM5.50 level.